Lesley is a real show-stopper! The detail on the lace appliqued bodice is heavenly, and the low illusion buttoned back adds even more of a wow-factor, plus the waistband has just the right amount of embellishment to catch your guest’s eyes as you move around on your perfect day. Did we forget to mention the fabulously detailed lace hemline? Wow! Imagine the pictures you will get with a statement train like this..
A timeless classic, Hadley is perfect for brides looking for something simple yet beautiful. We have this gown available to try in Champagne, the mikado fabric in this colour just oozes elegance. Hadley is a slim fitting ruched gown with an intricately beaded waistband and floor length button detail on the train. Lili is a gorgeous slim fitting fishtail lace gown with an allover subtle sparkle. This gown is a dream to wear with a fabulous lace-up back and stunning embellished motif waistband to really emphasise your silhouette. A strapless soft tulle ball gown with exquisite beaded bodice, satin waistband and full skirt. This gorgeous princess style Henrietta features a layer of sparkle tulle, organza overlay with lace appliques, finished with delicate spaghetti straps and a statement beaded waistband. 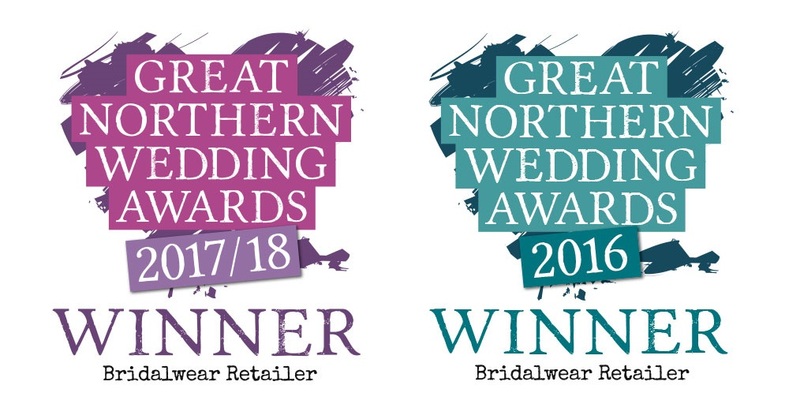 If you would like to try any of these beauties call us on 01756 798995 or email us info@ameliasbrides.com to book your appointment and view our stunning collection of bridal gowns available in our Skipton boutique exclusively.